Worlds collide in the latest 'Fortnite' patch and it brings a new vehicle with it. 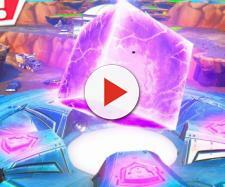 The dimensional rift, caused by the much-hyped rocket event, has brought a lot of new changes to the world of "Fortnite." The first big change to the game is the addition of the golf cart, known as the "All Terrain Kart," which can fit an entire squad within it. This new vehicle lets passengers build while being driven around the map and it can also be used as a portable jumping pad, which adds to the competitiveness of the game. New in #Fortnite Season 5: the All Terrain Kart! You can now interact with rifts that appeared on the map before the update. You can enter any of the rifts that are scattered around the map and it'll teleport you to a completely different location, and from there, you can use your parachute again and come down to the ground. And if you're feeling like it, you can drive the All Terrain Kart into the rift and get teleported into the sky with the passengers. The most noticeable change to "Fortnite" would be the new locations on the map. First up, Moisty Mire has been replaced with Paradise Palms. This new desert location appears at the south-east part of the map. You'll notice that this part of the map is now bigger than Moisty Mire was, and you can put the All Terrain Kart to good use on the racetrack as well. Next up, Lazy Links has replaced the Anarchy Acres and it is the new golf course area on the map. Dusty Divot is now completely covered in trees and a Viking village, with a longship and waterfall, has appeared near Snobby Shores. If you're one of those players that enjoy the game without paying, Epic Games has good news for you. You can now play the first three challenges even if you don't own the Battle Pass, and the next four challenges will be available only if you own the Battle Pass. According to Polygon, the threshold to unlock the weekly challenge reward will remain at four. Players will immediately be rewarded with the Drift and Huntress skin after purchasing the Battle Pass. The tier 100 reward for Fortnite season 5 is the Ragnarok outfit. Other skins include the Sledgehammer, Redline, Rook, and Sun Strider. There are some other minor changes and bug fixes in the patch notes as well. 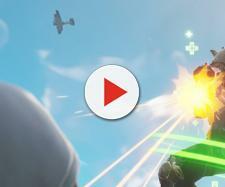 A new Western-themed storyline has been added to the Save The World mode, Heavy Shotgun now shoots ten pellets, and Nintendo Switch version of the game now supports Gyro/motion controls as well. The "Fortnite" season 5 patch is around 6.7GB and can be downloaded for PC and consoles.